I think petting zoos can be great. I’ve taken my kids to many and think they’re a great way for people to see and interact with animals they would not normally encounter. However, there’s always some risk, and petting zoos range from exceptionally well run to horrible. It seems like there’s been steady improvement over the past 10 years or so in how petting zoos are managed, but problems persist. Some risks are the inevitable consequences of contact with animals. However, in most, if not all, there are obvious things that could be done to reduce the risk to people. Unfortunately, young kids bear the brunt of petting zoo infections, and serious disease can occur. It’s early for the start of petting zoo outbreak season, but an animal rescue farm in Pennsylvania has been closed for investigation of a cryptosporidiosis outbreak. 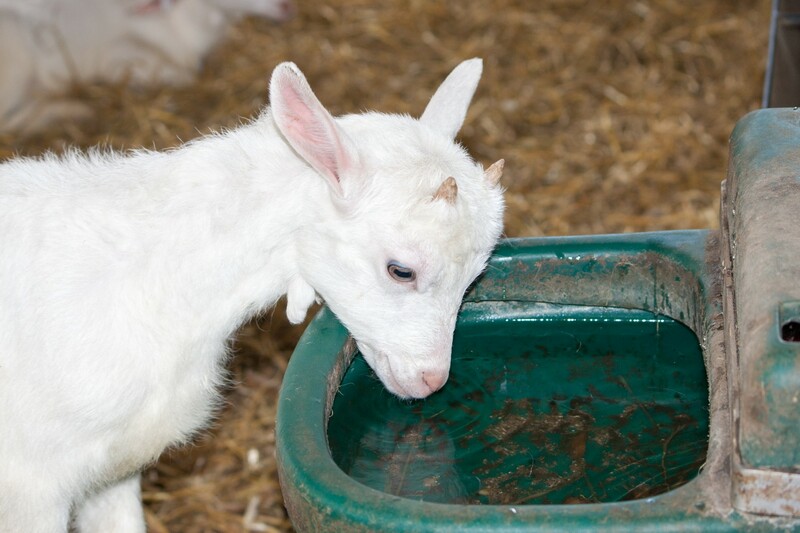 Cryptosporidiosis is caused by the microscopic parasite Cryptosporidium, which is commonly found in some animals, particularly young calves, kids (as in baby goats) and lambs. It can cause nasty, although usually short-lived intestinal disease in people, but severe disease is possible in the very young, very old and people with compromised immune systems. One problem with “crypto” is that it’s hard to kill. The parasite is resistant to most disinfectants and alcohol-based hand sanitizers, so when someone gets it on their hands after contact with manure or manure-contaminated surface, thorough hand washing is needed. Unfortunately we know that’s something that doesn’t get done well enough at petting zoos, for various reasons. It’s also why avoiding contact with calves and other young ruminants is a standard (and often ignored) petting zoo guideline recommendation. The recent outbreak at Heaven On Earth in Bethlehem Township, PA, involves at least 5 confirmed cases. Hundreds of people were potentially exposed so presumably there are other currently unidentified cases. Was there contact with high risk species such as calves? Were adequate handwashing stations present? Was there adequate signage to encourage handwashing? Were people eating and drinking in the petting area? The farm recently took in 30 kid goats and had asked for volunteers to help hand feed them. That’s a group of high risk animals and potentially a group of high risk people (if they don’t have any training on how to avoid crypto). It appears that young kids were involved in this, and the Facebook page for the facility has a post from the parent of a 3-year-old that had helped feed the kids and got crypto. It’s never happened here before (that they know of) and I’ve worked here for years and have never had a problem are typical refrains, but it’s pretty much guaranteed the farm was the source. Their Facebook page shows evidence of even more denial. Outbreaks aren’t always someone’s fault, but there’s almost always something that can be done to improve and decrease the risk of the same thing happening again. Given the lack of understanding or acceptance, let’s hope this place stays closed to the public and focuses on their rescuing, not public visitation.